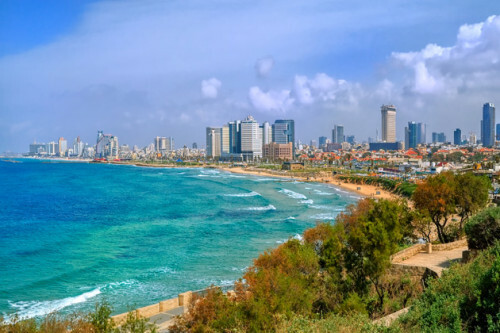 Cheapest flights to Israel in history! Budapest-Tel Aviv for €34! Wizz Air today offers 20% off all flights for Wizz Discount Club members which you can use to book some crazy cheap tickets. Return ticket from Budapest to Tel Aviv will cost you only €34 / 10744 HUF! This price is valid for members of Wizz Discount Club (€29 per year, €10 discount per flight for you and 1 friend traveling with you) traveling with small cabin luggage up to 42 cm. If you are not member of the Club you will pay €20 extra per ticket which is still great deal! Bigger cabin luggage (55 cm) can be booked for €10 extra or you can opt in directly for classic check in luggage for €15 per flight. Travel dates are in February and March. Many other dates are available as well for good price. Book directly at Wizzair as soon as possible. « WOW! Cheap flights to USA: California from Prague for only €350!